I haven’t posted lately I’ve been spring cleaning. Visiting family and doing OTHER things than videos and updates. I have 3 MUST DO TODAY items every morning on a list. Just in case I don’t get the other 40 items listed done, I will if all else blows up get 3 major TO DO’s done. This meathod has worked wonders for me. I keep a blank book journal and I just LIST things. TONS of things that need done or made on pages and pages. Then when I have a minute I look at my list and pick an item to do. Of course I get the first 3 MAJOR Items for that day done first. Love how this works keeps me on goal. I’ll have to take a picture of it. What was my 3 major goals today…. Clean up and Organize Living Room/Dinning Room area! Menu Plan and Order the groceries online (costs me $4.95 HOWEVER it saves me a lot of money I don’t pick up random things NOT on my list in the grocery store) Only downside I have is, it has to be paid via credit/debit card, so if you are on the cash envelope system it makes it difficult. Finish my Craft Project Binder (has been in my chore book for 1 month now! Needs to get DONE so that I can SEE what craft projects need to be done. From quilts, scrapbooking, photo items, layouts, shoots, digital designs, sticker making, organizing, crafting, planner, and much much more….. Should be a big binder and I will go over it after working through the trial period so about 3 months and I’ll do a video review of my Project Binder and chore book. So.. with that being said I will leave you all with a cute picture of just 2 of the 7 cats we have, the two pictured are rescues. Have Fun and don’t forget to Follow me! We bought our “Forever Home” in Oct of 2017 on a golf course in Elizabethtown, KY. My creative place is just now taking shape as I’m unpacking boxes still. It’s been a long journey to get here and will take several more months ahead to unpack and organize my craft space. I will also be listing items for sale as I unpack my studio. 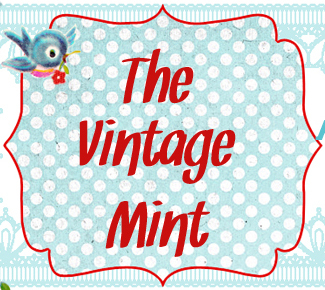 If you want to see what I’m selling please follow The Vintage Mint on Facebook, I will be listing items on the page as I go through boxes. I’m excited to get everything in it’s spot so I can create! I do a little of everything, that’s why I just say the Jack of all trades. I think knitting is the only craft I haven’t tried yet. Below is the links to find me on Social Media, join in the fun and the fails. <– because there will be fails. So lets laugh together and create together. Wonder Woman all the WAY…. You all know my style by now; I do two boarder washi tapes 10mm and this time a 12mm inside boarder. Washi tape used -Ms. Sparkle & Co. 9 pk Washi Tapes-Super Hero Bundle that I bought at JoAnns $14.99. Then four 5mm washi tapes most from the Super Hero Bundle, because I split my last box into two so I chart my spending in one and my daily menu in the other. I did use some of my light blue and matching red MAMBI planner stickers also from one of the MAMBI sticker books. *You can find wonder woman charms and OTHER items all throughout Hobby Lobby, jewelry section, super heroes wall hanging section, Fabric section, etc. First time doing a tassel for my planner, since I can now use them. HOW? I bought the Big Gold Happy Planner Cover. Then added a HUGE gold paper clip to it and now I can add tassels and dangles to my planner! I used red, blue dot, and gold ribbons with yellow twine to make my tassel. I didn’t show but I also made two Wonder Woman paper clip toppers too. Over all I love how quick and easy this layout was and how stinking cute it is. I hope to repeat this layout somewhere else before the year is out just because it’s so cute, and I do have a few stickers left over. Using Hobby Lobby sticker sheet and coordinating washi tapes and MAMBI (Me and My Big Ideas) Big planner stickers. When I saw these stickers at Hobby Lobby I didn’t buy them the first four times, because I really didn’t think I could use them with the BIG Happy Planner. The size seemed to suggest it would be perfect for the mini planner. The more I thought about that sheet of stickers the more I knew I wanted to FIT it into my Valentines week planner pages. I finally broke down and bought them, and I’m so glad I did. The layout is even better than what I imagined. So I combined my Hobby Lobby themed stickers with my BIG MAMBI stickers to finish this layout. As always I used 2 of my favorite matching washi tape a 12mm wide and a 10mm wide for the bottom boarder and the sides. Then I dove in with 4 matching colors of the 5mm wide washi tapes. Over all I’m extremely please with how well it turned out. Shows you how you can use those happy planner mini stickers or classic stickers in the Big planner style. I love doing Cash Envelopes! What I don’t like is going to the grocery store and having to take my phone out and add as I go. More than often I hit the wrong button or something happens and when I get to the checkout I’m way off. I saw this in a Facebook group and LOVED the idea. My tally tracker came in and I went straight to the grocery store to try it out. Worked like a charm. So say beans cost .69 cents, I hit it as a $1.00. Because I would rather be over than under at checkout, and don’t forget some items do charge tax. Even after coupons I still come close to the amount on my Tally Tracker. This has truely been a great $5.00 investment. People don’t even see it so they don’t see me on my phone adding every penny like i’m poor and NOT on a budget. Overall rating 5 stars out of 5! You can download a tally app on your phone that does the same thing however if your battery is running low. Tally tracker doesn’t use a battery or charger. Completely manual. I bought the one with the finger grip and it’s very comfortable to wear. Yes, I can still pick up items and look at them, doesn’t hinder me in any way. Create your design in Cricut Design space. I used the font from cricut “Country Life” and a free font from http://www.dafont.com called “i love glitter”. If you really want to see how it’s going to look snap a phone and upload it into cricut as a IMAGE then select image type as COMPLEX. Then just click continue now click on the PRINT setting one and NOT the cut one. Then click SAVE and insert image. Then just play around with different fonts to see what you like best and pick one. Time to cut! Set your machine to vinyl setting. Measure and make sure you have everything positioned correctly and grouped. If you do NOT group it will will not cut out correctly. Then apply your transfer tape or painters tape. Apply that to your board. Measure and CENTER! This is a different project but it shows you my set up. After all your vinyl is down, add your Mod Podge- remember a light coat will do it. Your Done! Just let it dry and show your beautiful work below in the comments!